On Tuesday, December 13th, the Tickle Trunk Players came to Seymour school and put on an afternoon performance. Wonderful! 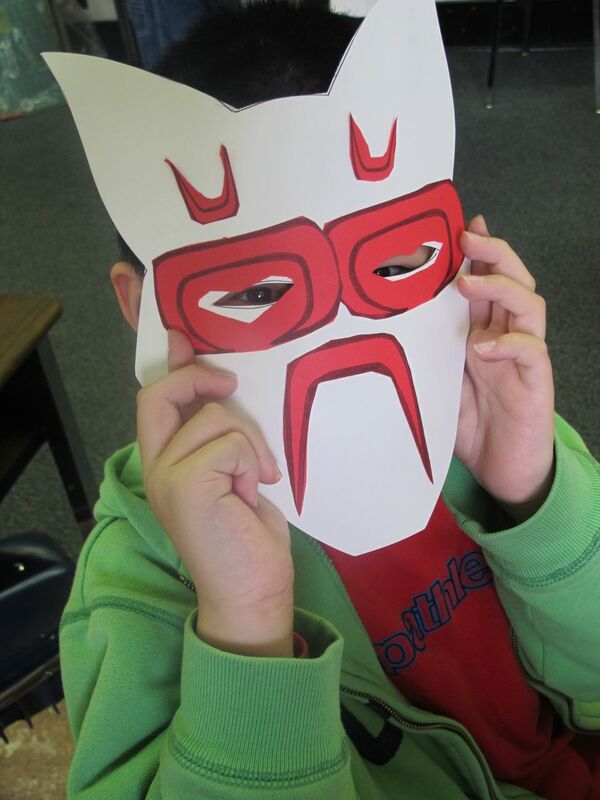 Students in Division 5 were very fortunate to participate in a mask making workshop in the morning. Such success! 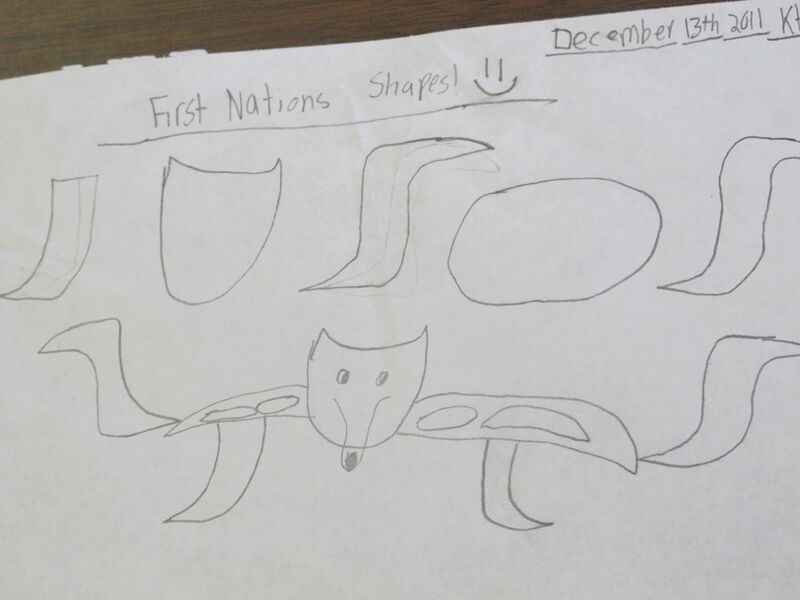 First, students learned about shapes that are frequently used in First Nations masks. Khai actually made a picture out of all of his shapes. 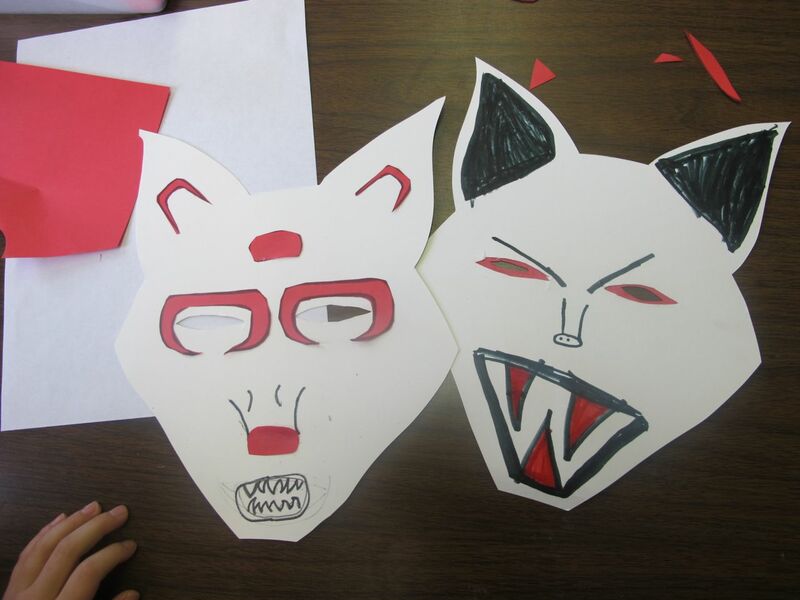 Then students chose either a bear, a wolf or a raven shape to make a mask. 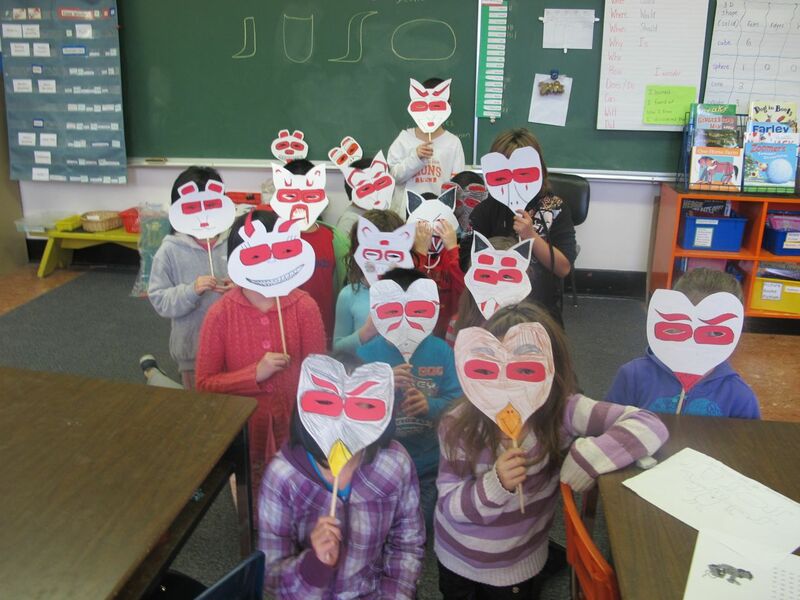 Masks were striking keeping to just the colours of white, red and black. 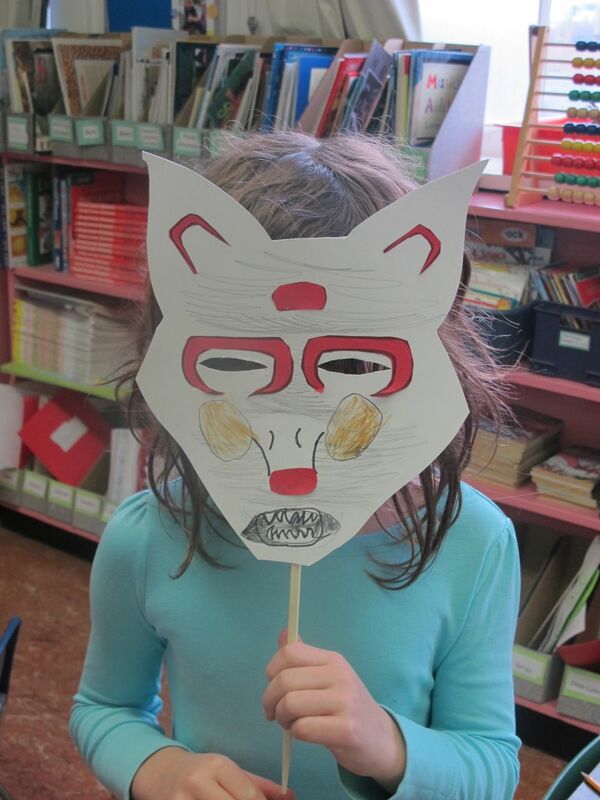 This wolf mask was very detailed. In animal groups, students were able to move to the beat of the drum around the room. But we did come together for a group photo! Thanks to Christine, our workshop leader! Such a positive experience for the children! This entry was posted in Art, Special Events and tagged art, Tickle Trunk Players by carriegelson. Bookmark the permalink.